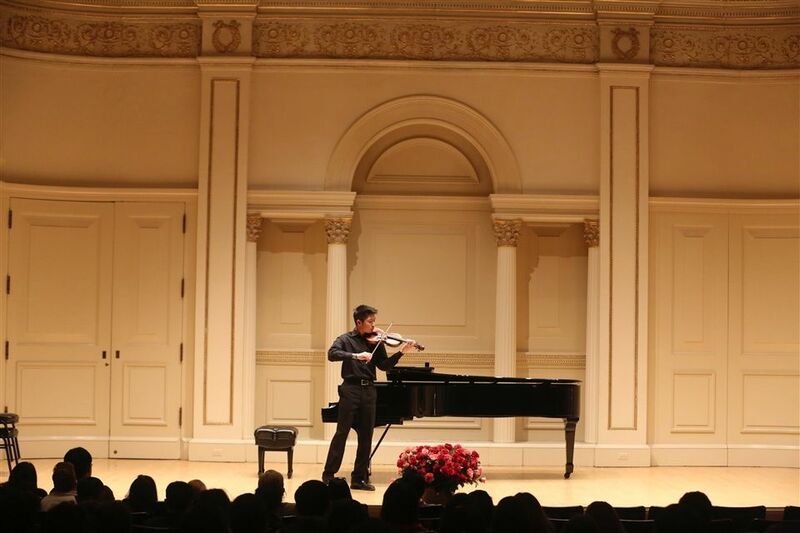 Mark Xu ’18 soloing at Carnegie Hall in 2015 as the winner of the American Protégé International Concerto Competition. A decorated performer with twelve years of experience at hand, Mark Xu ’18 exudes success in his musical career. Highly encouraged by his parents to pursue the art, Xu has risen through the ranks in the world of classical music, performing internationally and winning several awards. From third to ninth grade, Xu was a part of the Norwalk Youth Symphony, earning the position of concertmaster (the top violinist) in each orchestra level. As a sophomore, Xu wanted to challenge himself further, and enrolled at the Preparatory Division of the Mannes School of Music, in New York City, where he also was the concertmaster of the orchestra. Xu currently studies violin at the Juilliard School of Music Pre-College Division, to which he was admitted at the end of his Sophomore Year. He leaves his house every Saturday at eight o’clock in the morning for a full day of practice in the city. From classes, studying theory, ear training, and chamber music, to private lessons and orchestra, the day can be exhausting, especially after a demanding week at Hopkins. However, these numerous hours spent perfecting his craft have paid off. Xu currently holds the position of assistant principal violinist in the Juilliard Pre-College Orchestra. Despite all of his notable achievements and recognitions, Xu does not solely play for himself. He regularly performs for patients at hospitals or nursing homes, in addition to teaching children to play violin. During his freshman year, he founded the club “Harmonies for Healing.” “I wanted to show people how powerful music is,” says Xu. Last February via a benefit concert, Harmonies for Healing raised over $4,500 for Music Haven, a non-profit organization in New Haven. Xu also collaborates with Arts for Healing in New Canaan, an organization that works to provide music therapy to those who need it. One of his most memorable experiences with Arts for Healing was building a relationship with a talented young musician who has autism. At the beginning of their time together, the boy would not even look at Xu to acknowledge his instruction but, after several rehearsals, this began to change. During one of his performances, the boy stopped playing and smiled at Xu. According to the music therapist, this was the first time she had ever seen the boy smile. In college, Xu plans to join an orchestra to keep up his musical gift. However, his training after high school will neither be as formal nor as rigorous, allowing him to explore other aspects of his education and adult life. 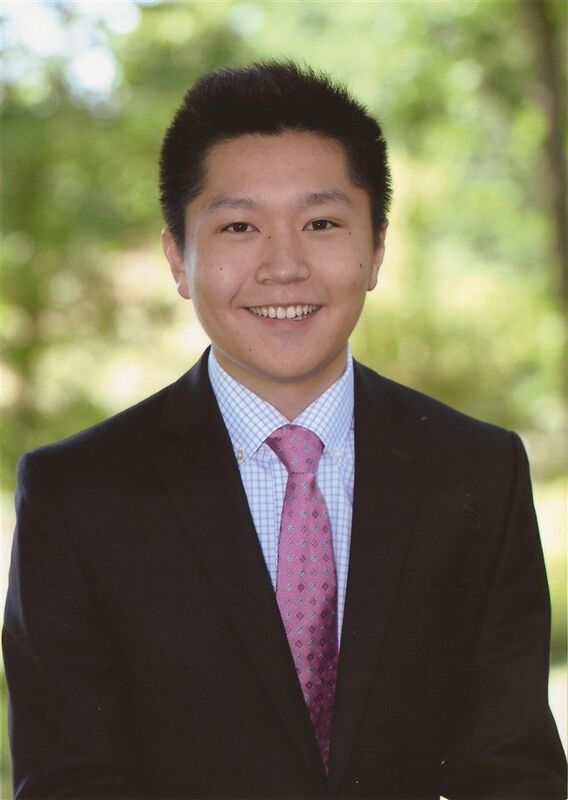 Mark Xu performed with the Norwalk Symphony Orchestra as the winner of the NSO Concerto Competition on March 18, at Norwalk City Hall, and you can see him perform at his senior recital on May 5, in Paul Hall, at the Juilliard School in Manhattan.